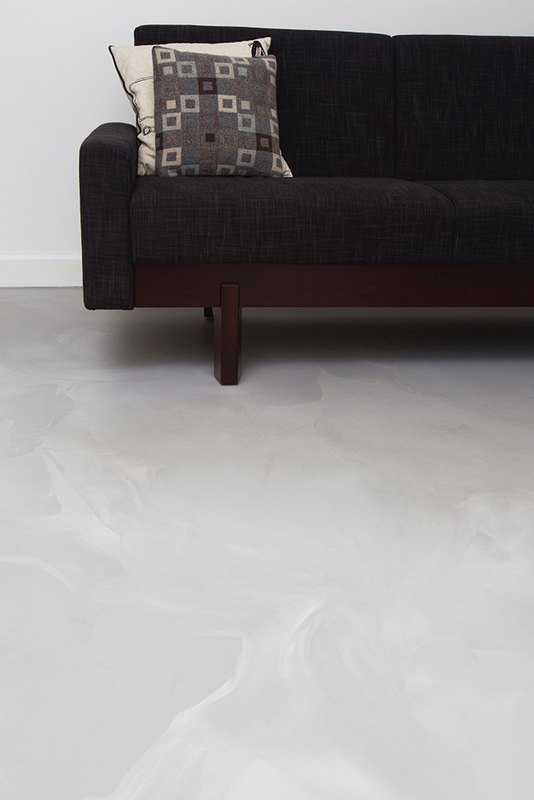 Our poured resin floors create a contemporary look for any flooring project. Whether it is within the home or a smart commercial environment, this material is both beautiful to the eye and durable. The smooth finish ensures that it is easy to clean. MC Poured Duo resin floors can be tailored to suit the colour palette of your project. We can replicate colours on the RAL or NCS colour systems, which means hundreds of colours are at your disposal to match, co-ordinate or contrast with the other elements of your design. Every one of our MC Poured Duo floors is different, two colours are chosen and the poured resin is allowed to gently blend together on the floor to create a unique effect. The choice of colours, the contrast between these colours, the variation and subtlety of pattern is different every time and this allows our craftsmen to create a totally unique, individual piece of flooring for your enjoyment. Configured by leading poured resin supplier MC Surfaces.